I’ve been carrying a camera around since I was ten, starting with a Brownie Instamatic camera, a gift from Mom and Dad. It’s all digital now. Thousands of images later, sometimes I’d wonder, “Aren’t there enough photos in the world? Still, after 50 years (okay, do the math), I love making images. When everything comes together I want to shout, “Yes, that’s IT!” and I’m filled with a special connectedness and joy. This why-take-another-picture question held court on the back of my mind for years. Then I recently came across a passage by Paramahansa Yogananda which inspired me to mindfully reach beyond the physical activity of tripping the shutter. Any time you become fascinated by some material creation, close your eyes, look within, and contemplate its Source. To ‘look within and contemplate its Source’ is something we should do at all times. It’s called ‘practicing the presence.’ All true spiritual disciplines say that to improve our lot, we must think of Him (Her, Divine Friend, Spirit, Allah, whatever works for you). Such devotion does not take away from enjoying life, rather it enhances it. 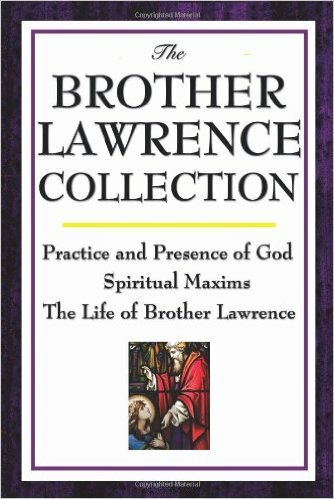 “There is no sweeter manner of living in the world than continuous communion with God,” said Brother Lawrence, a monk who lived in the 1600s. I’m no saint. I struggle mightily with restlessness and distractions when I sit to meditate. But what continues to drive me onward is knowing that the only difference between me and a saint is that saints don’t give up. My question for you is: What are you thinking about as you quilt, cook, run, paint, garden, golf, hike, program computers, walk your dog, dance, dine with a friend, backpack, study the stars…? And does the world need another photograph? Marion, Glad to hear you are taking good care of yourself! I find East Indian and Italian cooking have some of the best meatless dishes. I don’t eat much meat but do love my cheese. Eat a lot of nuts; love walnuts and cashews. I’m not a big soy “substitute” food fan and am interested in hearing your take on that when you do get to updating us all on your new way of eating. Remember the best part of Thanksgiving are the side dishes – have a great day! M.
M. Have not heard from you in a while. What are you guys on planning for Thanksgiving? I’m going traditional N.E. this year and have big plans to have leftovers for sandwiches ;-). I know sounds boring but in previous years I’ve done SW and deep Southern. My favorite appetizer is celery stuffed with cream cheese and chopped stuffed olives. What is your family favorite? M.
Hi Melissa, we just returned from a month vacation — much needed after a busy, BUSY summer. Lots of changes, which I’ll write about soon. As far as food goes, for health reasons we’ve adopted a plant-based diet. Watch the documentary, “Forks Over Knives.” So, the long and short of it: No dairy, meat, or oils. Yes to grains, nuts, fruits, veggies and so on. Whew. I’m having to revamp my kitchen and pantry but really enjoying the journey. Thank-you for reminding me that I have a choice to invite creation into my life daily. I’m on this same page with you, Marion. Brownie camera when I was a kid, restlessness throughout my life. It’s my iPad that captures the photos I want these days. It’s mostly in my garden, even when doing the smallest chores, where I find inner peace, that spiritual connection. The photo with the orange bearberry leaves is beautiful. Thanks for sharing it. Thank you for mentioning Brother Lawrence and for your photos and posts, Marion. Keeps Kodiak fresh in my memory. And it is always wonderful to hear from you, Candy. It’s a sweet little book, Diana. His letters are such treasures. His devotion, even as he picks up a straw from the floor, is a shining example of what we are capable of doing in our own lives. Love to you!